"The question is not when Hyderabad will become Bhagyanagar, but when will the Ram temple be constructed," wrote the Sena in its editorial. The Shiv Sena on Thursday hit out at Uttar Pradesh Chief Minister Yogi Adityanath over violence in Bulandshahr, saying he is busy renaming cities but has failed to address basic issues in his state. Soldiers and policemen do not have any religion. Similarly, those in power should only focus on fulfilling their responsibilities, said the Sena said in an editorial in their party mouthpiece 'Saamana'. A police inspector and a 20-year-old man were killed on Monday, when a mob of some 400 people fought pitched battles with the police in Siyana area of Bulandshahr district, apparently after right-wing activists were angered by the discovery of cow carcasses strewn in a nearby jungle. Taking a dim view of the violence, the Sena said, "Riots are taking place during Yogi's rule. A policeman lost his life in the violence over cow meat. Soldiers and police officials do not have any religion. Similarly, those in power should only follow their responsibilities." The party also lashed out at Adityanath over his remarks that if the BJP comes to power in Telangana, it would work towards respecting people's sentiments by renaming Hyderabad as Bhagyanagar. The Uttar Pradesh chief minister made the remarks on Wednesday. 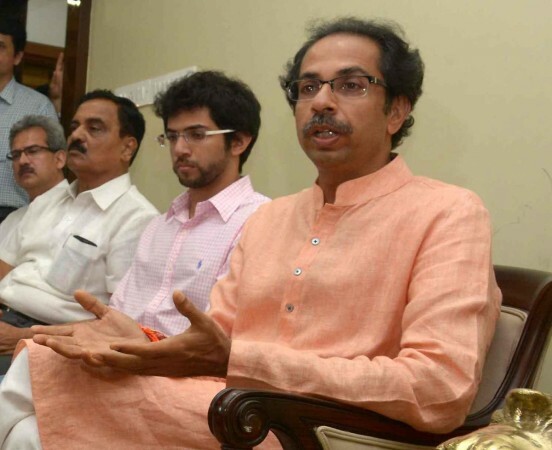 The Shiv Sena said that while Adityanath sought to rename Hyderabad, he had "failed to address the basic issues in his state". "The question before him (Adityanath) relates to history, while he is giving answers related to geography. The question is not when Hyderabad will become Bhagyanagar but when will the Ram temple be constructed," the Sena publication said. The party also attacked Adityanath over his recent remarks at a rally in poll-bound Telangana that Owaisi would have to "run away" from Hyderabad, just like the Nizam, if the BJP came to power in the state. "If the BJP is inclined towards wiping out legacies of Nizams and Babar (Mughal king), when will Aurangabad and Osmanabad in Maharashtra be renamed as Sambhaji Nagar and Dharashiv, respectively?" it asked. It also took a dig at Prime Minister Narendra Modi and his cabinet colleagues, saying they have "shut shop" and are busy campaigning for elections and making tall promises.